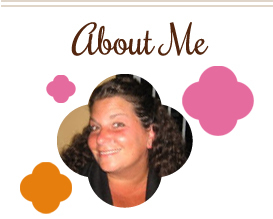 ← Guest posting at The Heritage Cook! Well, it was nice while it lasted. Who could complain about 70+ degree temps in mid March for well over a week? It was a beautiful preview of what’s to come. And now, the weather has shifted back to more seasonable conditions, which actually is fine by me because I like it a little chilly 🙂 So, keep your crockpot on the counter, your dutch oven on the stove, and soups on the menu. At least for a little while longer. This soup is ridiculously easy and perfect for a quick weeknight meal. And SO good. Use whatever veggies you have on hand, and feel free to sub ground beef or chicken if you like. Heat oil over medium high heat in a dutch oven. Add turkey and cook until brown, about 3-5 minutes. Remove and set aside. Add onion, celery and carrots and cook until softened, about 3-4 minutes. Return turkey to pot and add broth and barley. Season with salt and pepper. 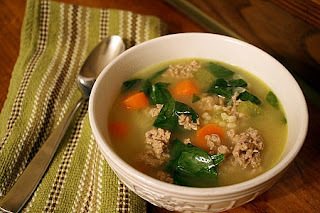 This entry was posted in barley, freezer friendly, main dishes, make ahead, QuickAndEasy, soup, spinach, turkey. Bookmark the permalink. I’m with you – I love the warm weather but I’m happy for a few more cooler days to squeeze in some more winter favorites. This soup looks perfect for the end of winter.